An Easy Guide to the Fingerboard. Instructional/Guitar/DVD. DVD. Homespun #DVDMAXGS21. Published by Homespun (HL.641917). Even novice guitarists can start playing melodies and improvising lead parts with this beginner's method. 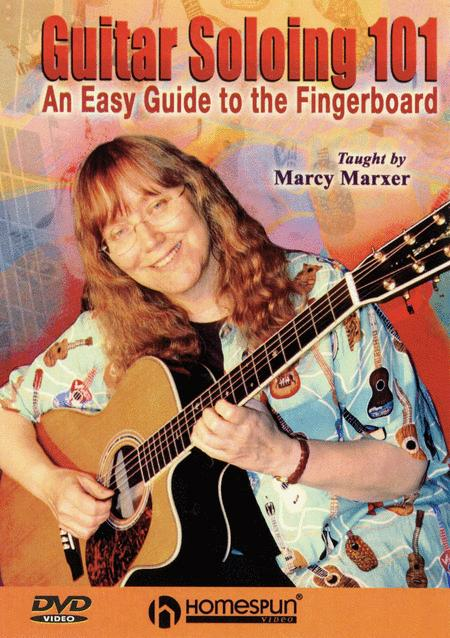 Marcy Marxer's user-friendly course brings all the notes, frets and strings into clear focus, providing an invaluable roadmap to the guitar fingerboard. Beginner level. Includes music & tab. 117 minutes.